Leading South West builder, Tallwood Constructions, has taken home five awards at the 2018 HIA CSR South West Housing Awards over the weekend. The boutique construction company, owned and operated by Managing Director Alex Campbell, designs and builds award-winning architectural homes and major renovations and additions in Perth and the South West. 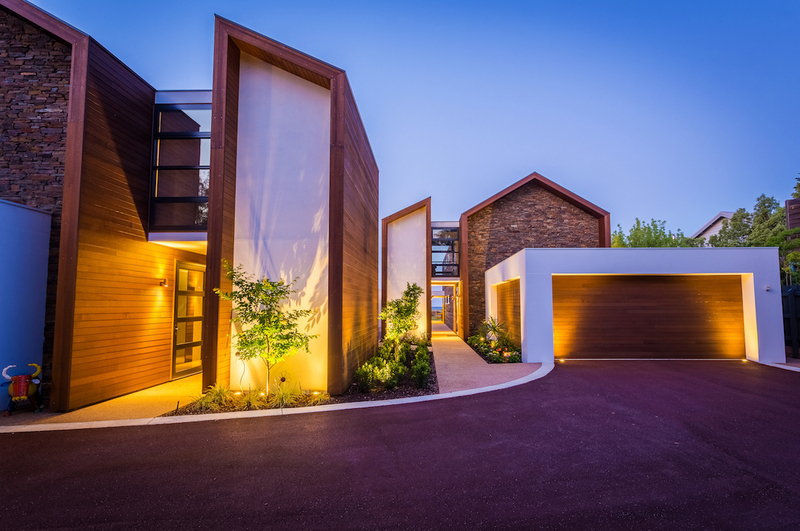 The awards celebrate the outstanding examples of residential construction in the south-west of Western Australia from HIA members. Tallwood was nominated for six categories on the night, including excellent in service, custom-built home $1,500,001 and over, custom built home $750,001 to $1,000,000, small lot housing, townhouse/villa development and townhouse/villa of the year. They won the following for two of their properties – Geographe Bay Road and Caves Road. The Geographe Bay small lot home was designed by Dane Design Australia. It features spectacular north-facing indoor/outdoor alfresco living areas, designed with the idea of welcoming Geographe Bay into the home, without sacrificing the outdoor experience to the area’s winter storms. Tallwood’s winning Townhouse, situated on Caves Road, sits back from the street, offering an added level of privacy to its residents. It features a distinct angular design, an emphasis on timber and natural stone and spacious living areas, including an expansive back garden. Inside, concrete floors and walls result in a sleek and sophisticated look, complemented by simple styling and furnishings. The kitchen and dining spaces are artfully combined into one large kitchen bench space, encouraging shared dining experiences. The entire living space enjoys panoramic views of Geographe Bay ensuring an ongoing connection to the great outdoors. These successes mean Tallwood Constructions will now represent the South West in the State Awards to be announced on Friday November 23.